I have always been intrigued by the experience of the great Indian saint Shri. Ramakrishna who remained in Samadhi for almost six months. Fortunately his lay disciple took care of his bodily needs by forcibly feeding him and taking care of him; otherwise he would have died. Shri. Ramakrishna later on said that he was oblivious to the outer world during this time. In the modern parlance this state would be comparable to that being in a coma. Yet he was not brain-dead but in higher state of consciousness. So what makes the brain achieve such a state where one gets locked in a thought – in this case higher consciousness for a long time? Modern theory of Soliton waves may explain such a state. 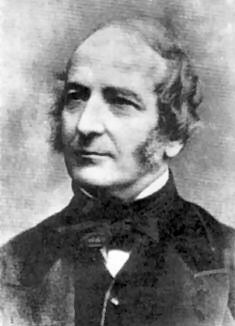 John Scott Russell made a highly significant scientific discovery. He watched a canal boat stop sharply, generating a single wave which travelled on without reducing in speed or losing strength. The ‘solitary wave’, or ‘soliton’, he observed is similar to those waves which today carry information along fiber optic cables, serving the internet and telecommunications industries. Russell, an engineer and naval architect, was better known to his peers for his ship hull design, including Britain’s first armored warship ‘Warrior’. Soliton is a wave which can remain stable for almost infinite time. These waves have been observed in liquids, gases, optics and even in space and arise because of the non-linearity of the wave phenomenon. The word Soliton is apparently derived from solitary wave which being stable almost acts like a particle. Hence Soliton rhymes with electron! When one throws a stone in a lake or a pond the waves produced in water soon dissipate and die off. However in a turbulent lake or sea when there are lots of waves being produced the conditions sometime become ripe for a Soliton wave to be formed. This can remain stable and travel to great distances without dissipating. Such “rogue” waves have been observed in seas and have been the cause of major ship wrecks. Human thought which results because of the firing of neurons in certain neural pathways is also a non-linear wave. The thought arises because of inputs from the senses and their interaction with the stored memory in the brain. However for majority of people these thought waves arise and dissipate in rapid succession and result in brain chatter. This is similar to the waves produced by stones being thrown in a lake. In meditation and when working on a certain problem with deep concentration, the ego ‘I’ can force and sustain a thought on a subject for a long time. With discipline and practice this time can be increased and ultimately leads to Sanyam that Patanjali in his Yoga Darshan talks about in which concentration, meditation and samadhi are brought together to bear on a subject. This Sanyam results in mastery of the subject and in the third chapter (Vibhuti Pad) of Yoga Darshan Patanjali talks about how a Yogi can get supernatural powers by doing Sanyam on various subjects. Yet in all these meditative processes ‘I’ or ego remains. Ego or ‘I’ is like a director who helps in concentration and makes the brain keep a certain thought in the vision field. However in certain circumstances when the concentration becomes really intense so that there is a tremendous non-linearity in the system, suddenly a Soliton wave of thought can be formed which renders ‘I’ or ego useless and could be the mechanism of remaining in the state of Samadhi for a long time or even forever. This was probably the state in which Shri Ramakrishna stayed for six months. And he said many times that all his ego, ‘I’, awareness vanished during this Samadhi. I also feel that it is this soliton thought wave that may be responsible for Mahasamadhi of great rishis and enlightened souls by which they could leave the body at will. It is as if the physical structure of the brain and the body is required to reach the stage of highly non-linear thought and once the Soliton is achieved the body’s function is over and the liberation of being from cycle of birth and death results. 5. Anil K Rajvanshi, “Nature of Human Thought”, Second Edition (2010). Published by NARI, India. Thanks for an enlightening write up,sir.Regards.